Mubarak’s Egypt on the Brink — of What? 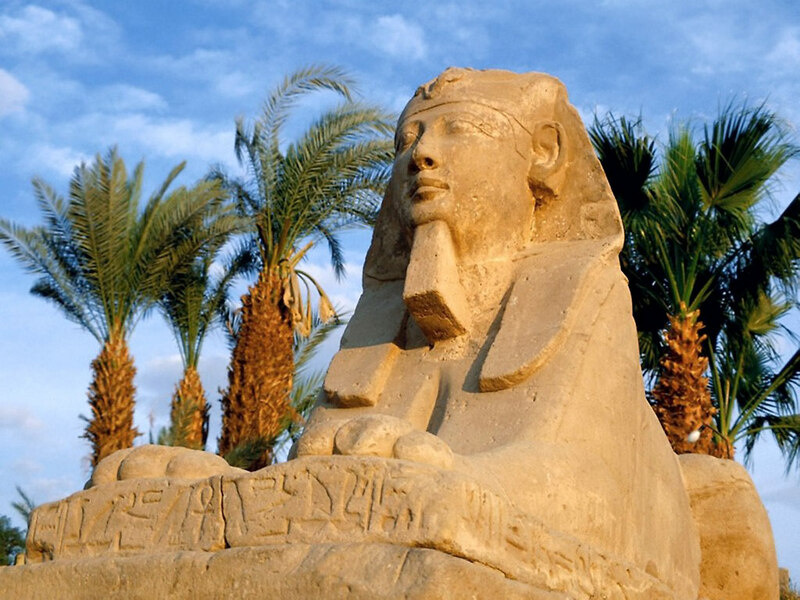 During its storied 5000-year history, Egypt has enjoyed precisely eleven years of genuine democracy. Those eleven years corresponded with the presidency of of the late Anwar al-Sadat. That wise and gentle half-Sudanese pipe-smoker, who led his country from 1970 to 1981, did the unthinkable for an Egyptian leader: he signed a peace pact with Israel. Naturally he paid for it with his life. Egypt’s current (and soon-to-be former) president, the 82-year-old Hosni Mubarak, has supported Israel as steadfastly as his predecessor — and he’s survived a reported six assassination attempts during his 29-year tenure. We can also say this much about the man: he’s a secularist in a region that bubbles with Islamist fervor, and he has never called for a jihad against the American Satan. He wears a Western-style suit and tie, too. Shouldn’t we be sorry to see such a paragon of Arab moderation swept into the dustbin by a popular uprising? Well, that’s the question of the day. Hosni Mubarak: the last pharaoh? 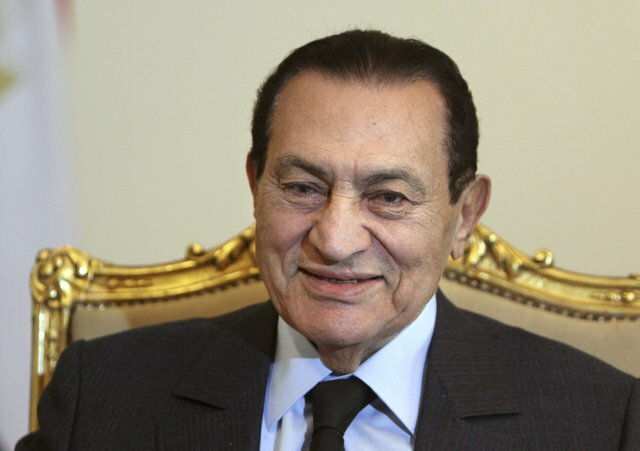 Autocratic, repressive and largely unloved, Mubarak has ruled Egypt with pharaonic absolutism and an often brutal fist. He’s almost the archetype of the sort of dictator habitually coddled by our State Department: he may be an S.O.B., but he’s our S.O.B. He plays by our rules, respects Israel and contributes immeasurably to the stability of his country. In the Middle East, stability is usually a good thing. But in Mubarak’s case, the price of that stability was repression. The pressure built for nearly three decades, and it required only a spark to set off a dramatic explosion. That spark was the popular uprising in Tunisia. Emboldened by the success of Tunisia’s instant revolution, Egyptians of every class and persuasion have spilled into the streets declaring that Mubarak must go. Pandora’s Box has flown open… the dam has burst… the cow (or is it the horse?) has left the barn. All the usual cliches apply: there’s no going back. What happens to Egypt once Mubarak leaves the barn? It’s anyone’s guess. Most revolutions start out as well-intentioned and even heroic cleansing operations: oppressed citizens overthrow an oppressive regime and everyone cheers the dawn of a better day. In reality, the oppressed have a lamentable tendency to become the new oppressors. It happened in France in 1789, Russia in 1917, China in 1949, Iran in 1979. And the new oppressors are often immeasurably worse than the old. How do you keep a revolution from turning bad? In theory, it’s a simple matter of keeping the extremists from commandeering the ship. That means (you guessed it) that moderates are the key to the lasting success of any revolution. Moderates as revolutionaries? Of course! Just ask George Washington, John Adams and Ben Franklin. These radical moderates helped orchestrate the greatest political revolution in human history — and the most successful. They overthrew an unjust government and actually instituted a more just one in its place. Washington deserves accolades for refusing to concentrate power in his own hands when the people would happily have made him a king. (Contrary to his lofty marble-sculpted image, the Father of His Country seems to have been perpetually plagued by very human doubts about his abilities.) Contrast him with Robespierre, Lenin, Mao and the Ayatollah Khomeini — revolutionary figures who leaped at the opportunity to seize absolute power and crush the opposition. What will Egypt’s post-Mubarak government look like? The revolution seems to enjoy massive popular support from all classes — always a positive sign. But while the people revolt openly in streets and squares up and down the Nile, the Muslim Brotherhood is skulking ominously in the shadows. Founded in 1928 as the Islamic version of (believe it or not) the YMCA, this clandestine organization has long been banned in Egypt. The Brotherhood isn’t a violent jihadist cult like al-Qaeda, but it stands militantly in favor of Islamist principles. 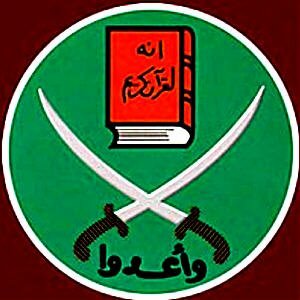 Any government dominated by the Muslim Brotherhood would be anti-U.S., anti-Israel, anti-West, anti-secular and pro-sharia. In the hands of a strongman drawn from the ranks of the Brotherhood, the new Egypt could emerge as another Iran. In short, a disastrous setback for U.S. foreign policy — not to mention any Westerner who’s determined to see the pyramids in this lifetime. The Obama administration has already made it clear that it would happily accept a Muslim Brotherhood presence in any new Egyptian government. This policy could simply be a calculated ploy to co-opt the Brotherhood and blunt its teeth… or it could imply that Obama is soft on Islamists — just what the American Tea Partiers want us to believe. First time poster, long-time reader here. Excellent post, Rick. I too, am optimistic this time around that the people’s uprising will not be co-opted by another totalitarian regime, whether it be Islamic or otherwise. I consider myself a moderate Muslim, and wish my fellow Egyptians the best, and I believe the “best” is a secular democratic government that does not oppress its people or any minorities within. I hope Elbaradei or some other respected figure can lead a transitional government. Looks like Mubarak wants to try to cling to power for as long as he can (the immediate reaction after his pathetic address tonight was that of disapproval, obviously). i-cynic, then I stopped visiting after you stopped your famed monthly posts, only to google you a year ago and find this site! Now here’s a reader who deserves a free copy of The Cynic’s Dictionary (if I can find one)! Thanks, Nephron, for remembering my monthly “tirades” (ah, those were the days) and following me to my current endeavor. The Bush administration convinced me that mere cynicism wasn’t enough, so I started working on this project with the thought that it might actually make a difference. I’m always glad to hear from moderate Muslims. I know you’re out there (my favorite cafe is owned by moderate Muslims), but I suspect that most of you would be taking significant personal risks by speaking out against the extremists. Are you familiar with the site Muslims Against Sharia? It’s written with courage, conviction and even a touch of humor. That’s the kind of nucleus you need for a successful moderate movement within Islam. I’m hoping Imam Rauf makes good on his pledge to foster moderation, though I hear he has ties to the Muslim Brotherhood. Anyway, back to Egypt. Yes, we both hope for the same kind of democratic government to emerge there, and I think it has a reasonable chance of succeeding. My one fear is that the Egyptians will associate Mubarak with the U.S. and deliberately move toward an anti-American government. This is essentially what happened in Iran with the revolt against the Shah; he was seen as a U.S. puppet, and the people (even among the educated class) swept a fundamentalist government into power. I have to wonder why so many international leaders who cooperate with the U.S. are so repressive toward their own people. The U.S. loves to pontificate on the virtues of democracy, and yet we seem to have a positive genius for supporting authoritarian regimes. I suspect that we ally ourselves with leaders who will stand firm against our enemies — even if they make enemies of their own people. Politics makes for strange bedfellows, better the devil you know, and all that…..
Mubarak is a tyrannical thug, who appears to be holding on, at least for now. ElBaradei is an anti-American stooge for the opposition….there does not seem to be a Islamist figure that has emerged as a potential replacement for Mubarak, but it seems as if ElBaradei is willing to throw in with the sharia-loving MB, if it gets him into power. Coptic Christians are extremely fearful of their fate, should Mubarak be overthrown. Priscilla: I’m afraid you’re right; it’s a choice between Scylla and Charybdis at this point (how do you like the Classical analogy?). Of course, I’d like to see a true moderate emerge to spearhead a new Egyptian government. Where’s Sadat when we need him? TV News: Egypt protests. At a first glance it looked like my Romanian 1989 revolution. Hmmm, I look closely… Nope, not the same thing. We were protesting by going on the streets with clear signs “Down with the Communism”, and sitting down in the central plaza of the capital for the world to see that we don’t want Communism anymore. We were men, women, girls and boys. The dictator (Ceausescu) did not like it, he sent army to disperse the manifestation, but he couldn’t do anything to get back in power. We got what we wanted, or at least what we tough it would be a better life. Unlike in Egypt now: I see mostly violent men. We did not throw stones, we did not have guns, we did not took cars and smash them in the manifestation participants. In Egypt is not a revolution, it is just an opportunity for radical Islamic to get into the power using part of the population that don’t know better than to abide by religion. It is not a political upheaval, it is a radical religion trying to get in power so it can rule against moderate Islam and some “democracy”. As if Islamic religion can give “democracy”. I can see that in spite of the fact that Mubarak acted as a dictator, he was not a radical Muslim. However, he got his life, he got his power and did not bring the true democracy to his people. And of course it is impossible. When religion prevails, the democracy goes down the drain. What Muslims want: Allah is our objective; the Quran is our constitution, the Prophet is our leader… Democracy ? Nada. Valdo: If dictators like Mubarak make democracy impossible, and religious fanatics in power make democracy impossible, how is Egypt going to become a democracy? It might be that democracy just isn’t a practical option for many countries. The Bush doctrine of spreading democracy (by force if necessary) was naive at best. There are some countries without a strong middle class that might best be ruled by a benevolent strongman. Where’s Superman when we need him? Rick, a strong middle class (at least 50-60% of population) means that there is democracy in that country – that’s what I think. However, religion, dictatorship and communism NEVER creates a strong middle class either. The hopes are if Moderates (economically and politically) can develop some kind of thinking that can bring some ideas to make a strong middle class. One can only hope in spite of greedy for money and power that is intrinsic human nature. At the time I’m writing this, Mubarak has left the office. He handed the power to the army. Now people await for what’s next… What’s next?